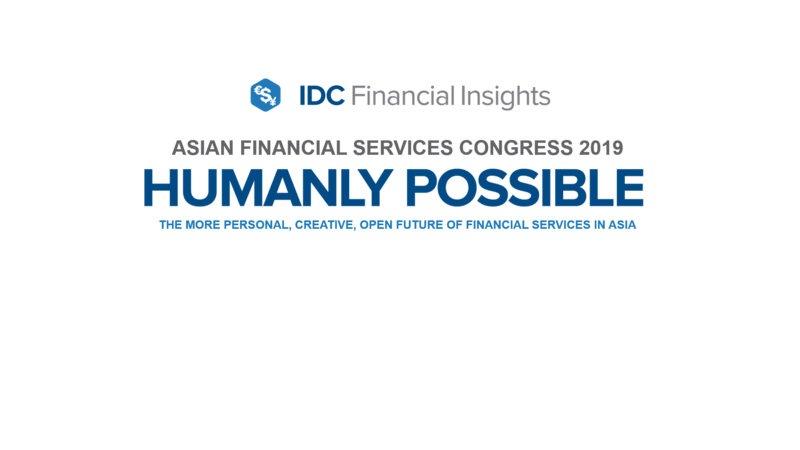 In the most forward-looking Asian Financial Services Congress yet, IDC Financial Insights points to an ironic twist in the surge of automated intelligence in financial services: that the biggest trends expected to change the face of financial services will serve the human. The big, new and exciting technologies under the spectrum of Intelligent Automation – from cognitive channels, to business process reengineering-backed RPA, to Artificial Intelligence in all its forms – will put the customer at the center of financial services. More than ever, the needs, behavior, and intent of customers will be used to design personal and meaningful customer engagement. Interactions will be supported by greater automation so that not only are they efficient but that they also become more real-time. IDC Financial Insights predicts a clearer correlation between investments into new tech and the institution’s success in customer engagement. Even beyond tech investments, strategic imperatives of the region’s financial institutions have become more focused on the customer. In many organizations “delighting the customer” is a goal, supported by longstanding efforts in single customer views, customer data analytics, and the launch of the channels of the future. The pro-customer transformation of banks, insurance, and capital markets will happen urgently and swiftly. After all, the institution that gets customer centricity right will win the business and the loyalty of the region’s wealth of customers. The AFSC 2019 agenda will thus focus on how institutions can stay ahead of competition – including frameworks of digital transformation, core system abstraction strategies, customer experience design, even innovation masterclasses. Useful, actionable advice is a mark of the AFSC series, and the 2019 edition will be especially focused on best practice. The guidance provided by IDC research and our largest-ever panel of best-in-class institutions – will ensure that the much anticipated change in financial services is not only intended for the human, but is humanly possible too. Open Banking in Asia: Driven by Customer Centricity, not by Regulation. The Revival of Customer Centricity in Financial Services: Customer Journeys and High Impact Business Processes. Pro-Customer Regulatory Regimes emerging in Asia/Pacific Financial Services. The Intelligent Automation Continuum: RPA, Cognitive Automation, Artificial Intelligence. Predictive Analytics in Risk Management, Fraud Management, and Security Management. Core System Abstraction and Open Banking-Ready Core Systems. Intelligent Core Platforms for Data, Insights and Actions. Blockchain and Distributed Ledger Technologies. Cloud for Scale, Reliability, and Manageability. The Future of Pro-Customer Insurance.